With the winter season here, bicyclists should be aware of safe habits before traveling in the cold or on snow-covered roads. 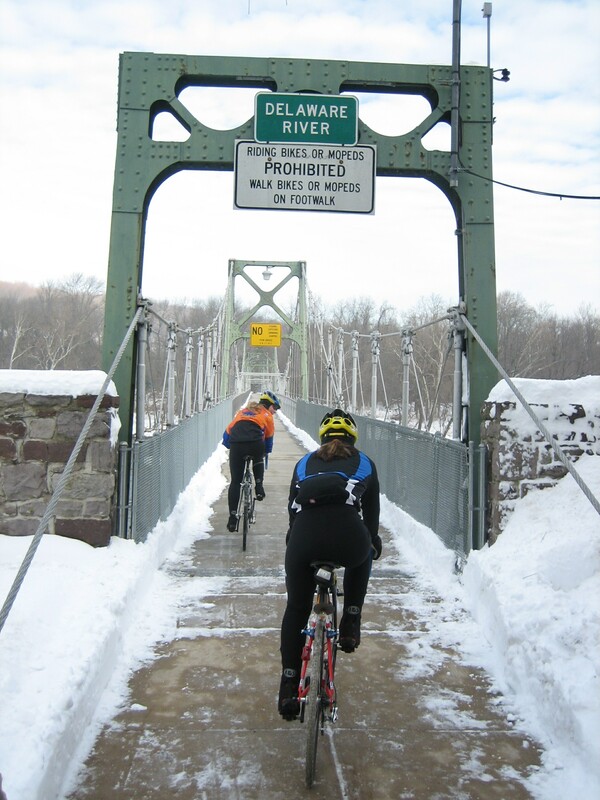 From maintenance to protective gear, there are many things to consider when traveling by bicycle during the coldest months. Cracked roads and sidewalks pose a risk for bicycle commuters. When snow finally hits the ground, those who live in these locations need to be especially prepared for dealing with the harsh weather. For those workers who bicycle in their daily winter commute, we offer recommendations for safely bicycling during the winter months. In preparation for the colder months, there is no need to buy expensive bicycle attire. However, a jacket by itself will do very little to stay warm during the winter commute. Dressing up the torso and legs with multiple layers is an effective strategy for blocking out the cold. The wind can be brutal to the eyes and ears while riding, so it is important to have protective gear for the face. A balaclava that covers everything but the line of vision can come in handy and allows enough room for helmet use. Goggles can also help fight off the wind and should be worn with headwear. For hand protection, gloves with an insulation layer inside, such as fleece, will help keep fingers warm on colder days and maintain mobility. Foot wear should consist of thicker socks and waterproof boots. One of the biggest hazards throughout winter are icy road conditions. Before heading outside, you should prepare your bicycle for this situation. Make sure that tire pressure is at the lowest recommended psi. A lower saddle will also maintain stability and make it easier for feet to reach the ground. Be aware that streets are slickest at the start of snowfall and freezing rain. Any type of metal surface, including grates and bridges, become extremely slippery in these conditions. In these situations, maintain a constant pedaling movement. Do not make any sudden turns or stops; keeping up momentum will help to keep the bicycle upright. Avoid leaning into turns so that the bicycle does not fall over while swerving. Allowing for longer stopping distances also helps to avoid collisions with other riders. Proper bicycle maintenance during the winter is also important. Having fenders will keep snow off most parts of the bicycle, excluding wheels. Extreme temperature changes cause bicycles to rust more quickly. After a bicycle ride, hang the bicycle upside down and remove the seat post. This will allow for any moisture to drain out and avoid condensation buildup. At home, riders should store their bikes in a warmer setting, such as a garage, to prevent ice formation on brakes and gears. Studded tires are a good accessory to have because they increase traction on the ground. If a noticeable amount of sand or ice is stuck to the rims, be sure to brush it off and wipe down the entire bicycle. Finally, don’t forget a light! In New Jersey, lights on the front and rear are mandatory during nighttime riding, which is nearly impossible to avoid if you commute by bicycle during the winter. By following these tips you’ll be well prepared for riding in the winter. Time spent on thorough maintenance is better than any potential injury from an accident. Posted on January 7, 2016 January 23, 2017 by njwalksnbikesPosted in Bicyclist and Pedestrian Safety, CommutingTagged bicycling, bicycling tips, commuting.